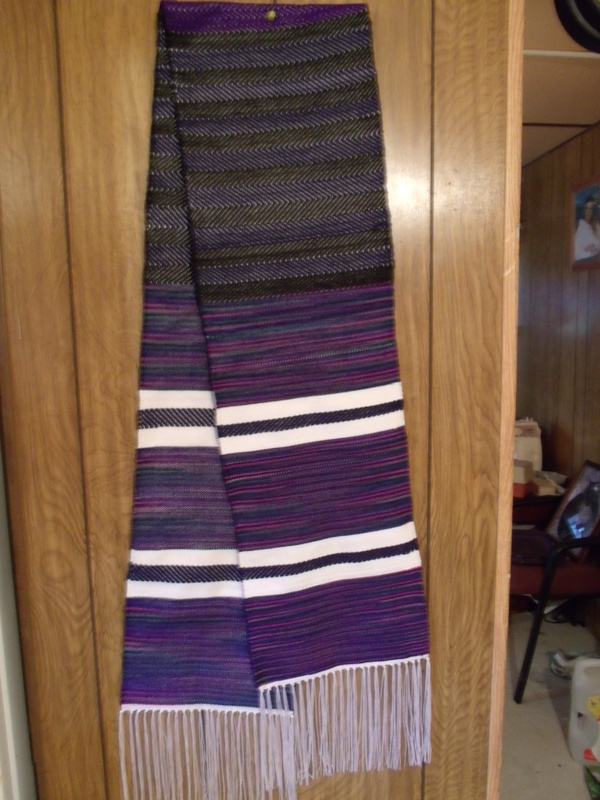 The scarf is finished and it turned out just like i wanted it to be… it s symetrical in the way it looks so that if you cut it in half at the purple middle both sides are the same… which for a scarf to me is the way it should be. This was a dream project to work on and i think i may make another in the future for myself.. this one however is spoken for. 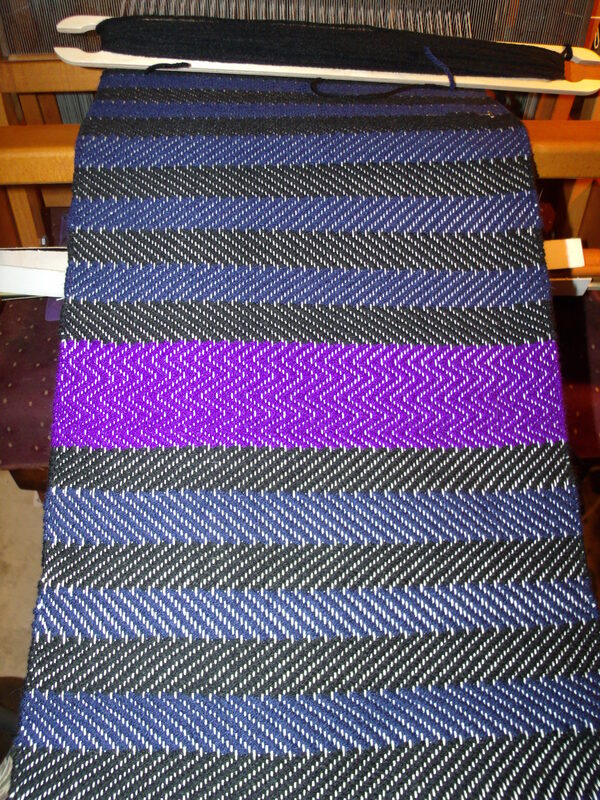 The pattern throughout this scarf was a basic twill and tabby weave.. and i let the spaced dyed yarn in the tabby make the pattern so it has beautiful stripes in it and the purple in the middle ties both ends together… the blue and black well they mean something else entirely and that is a good thing for the person getting it. but the colors all work well together. I am working on a idea for my next blog… and i will be posting soon.